* ETS2 1.33.2, 1.34.0 + ATS 1.33.2, 1.34.0. No errors in game log. Must have high priority in Mod Manager. 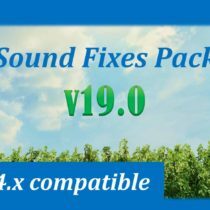 * Supports compatibility with rain sound mods such as Realistic Weather Sound 1.7.9 (provides realistic thunder + rain sounds). Both can be enabled at the same time. Check the load order image included for more details. 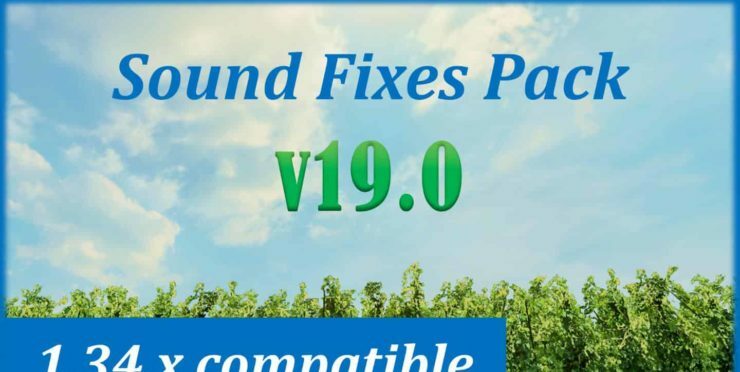 * If using any of Grimes’ seasonal mods, place the seasonal mod with higher priority than the Sound Fixes Pack for a more accurate seasonal experience. 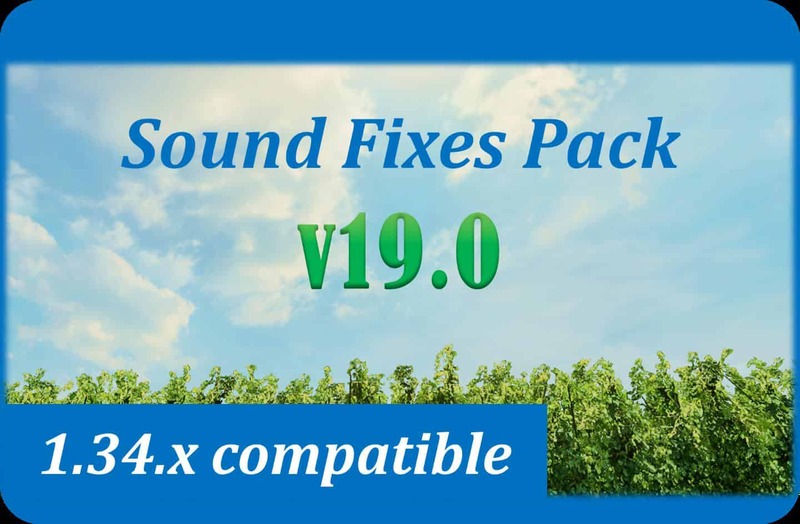 * If using winter mods, please enable Frosty Winter Weather Sound addon from Options folder of Sound Fixes Pack for winter sounds. * Real interior + exterior tire sounds. Tires will resonate in the cab depending on how fast you are accelerating and what speed you are in, giving a feel for your sense of speed. * “Late music” replaced with Nokia phone ringtone sound (volume of this sound depends on Music volume in the in-game Audio settings). * Retro/historic ding sound for while the fuel is pumping (circa 1960s to 1970s). The number of dings can help give you an idea on how much you refueled. * Real stick/switch/button sounds for: parking brake, hazard light, wiper stick, light switch and blinker / indicator / turn signal. * Mix of default amplified gear grinding sounds and new gear grinding sounds. Can be heard when you have damaged the transmission and/or gearbox. * AI traffic vehicles given new horn sounds. Depending on the patience of the driver, a short or long honk may be used. [ETS2 only] * AI traffic trucks/buses given more variations of detailed sounds (may include turbo sounds, distinctive engine sounds, sounds of gear changes, etc.). [ETS2 only] * Variety of distinct engine and horn sounds for several vehicles (e.g. motorbike sounds for motorbikes) in various AI Traffic mods and in stock trucks from the original game. [ETS2 only] * You can hear the slight sound of vehicles overtaking you or passing by you in the oncoming lane. * Louder volume and reworked audio for a vast amount of moving objects including biplanes, trains (included train horns) etc. * Enabled sound for a vast amount of movers that don’t originally come with sound (e.g. F22 jet fighters, ocean waves, tugboats, hot air balloons, you name it!). * Prefab (i.e. company and delivery point) soundscape enhanced for American Truck Simulator (includes both daytime and nighttime ambience such as cicadas and crickets). SCS Software, antonvezdehod, Ludmilla,Katixa/Irreo, Balamut, AlexeyP, Cipinho, julian.